The Zoom2! light activated gel was developed after years of research by Discus Dental, the leaders in professional take-home teeth whitening. The gel is a scientifically formulated, pH balanced Hydrogen Peroxide that, when activated by the Zoom2! 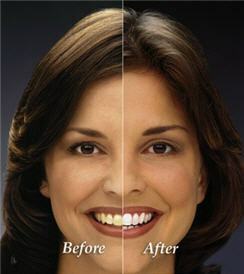 light, gently penetrates the teeth to remove deep stains and discoloration. With proper care and an occasional touch-up at home, your whiter smile will sparkle for years.